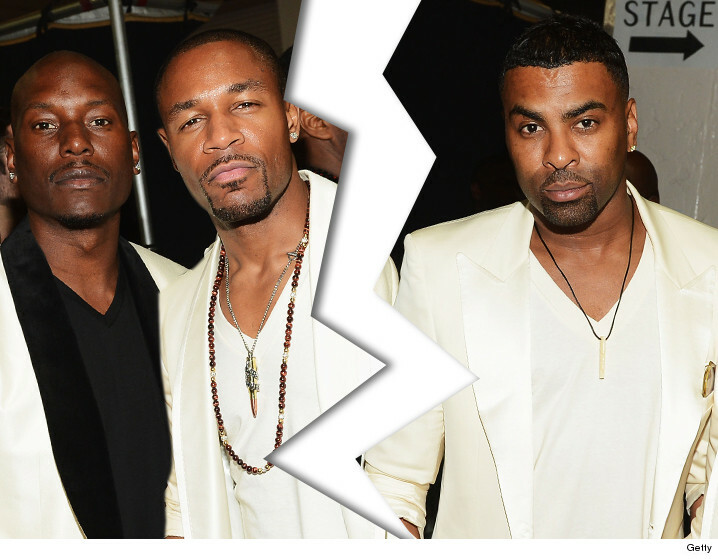 Tyrese, Ginuwine and Tank are in the middle of a bitter breakup, calling it quits on their R&B supergroup TGT after only one album ... and Ginuwine thinks the whole thing is wack. Tyrese broke the news on social media, saying it wasn't anyone's fault ... but he and Tank were moving on without Ginuwine. That announcement didn't sit well with Ginuwine, who immediately blasted Tyrese for airing their dirty laundry. He dismissed it as a "p***y move" from a diva. His advice to Tyrese -- "Call me don't try and manipulate the situation publicly wack wack wack of you." Tyrese eventually deleted his original break up post. This drama's been building since their first, and now last, album in 2013. They had to cut short a tour when Tyrese blamed Ginuwine for showing up incoherent to gigs and interviews.